Victorian Styled Bathroom Remodel from Castile Contruction, Inc.
Castile Construction is a local leading home remodeling contractor. Castile’s services include Bathroom Remodeling, Kitchen Remodeling, and Outdoor Living Decks too. This bathroom remodel was designed around the custom six long bath tub. A few of the components of this bathroom include a free standing vanity with granite counter top and backslash with an under mount sink, oil rubbed bronze plumbing fixtures and marmoleum flooring. 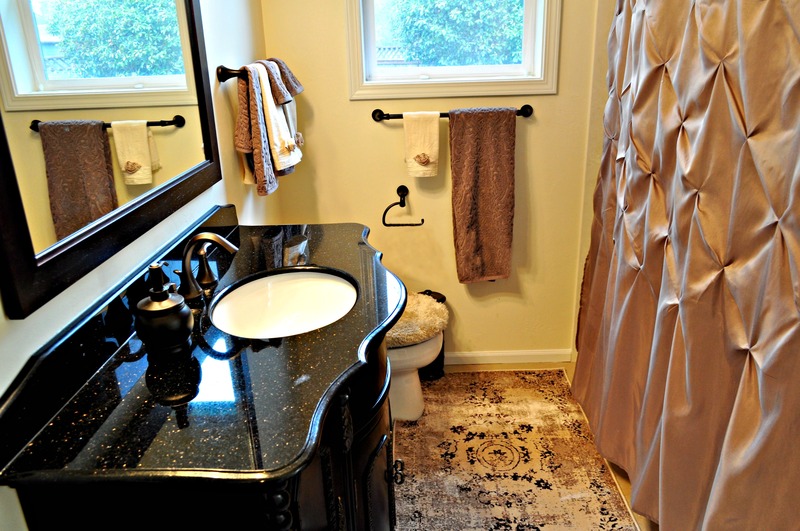 The Victorian styled vanity along with the home owners decorative touches has giving this bathroom a touch of the Victorian feel that flows thought out their home. Start your Bathroom Remodel today by contacting Castile Construction!